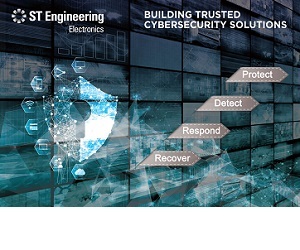 ST Engineering Electronics is a trusted and innovative cybersecurity solutions provider with two decades of deep experience in protecting and defending critical infrastructures. Our team of specialised cybersecurity professionals design, build, operate and maintain cybersecurity operations centres. With our deep engineering expertise, we provide robust cyber-secure products and services in cryptography, cybersecurity engineering, audit as well as compliance. 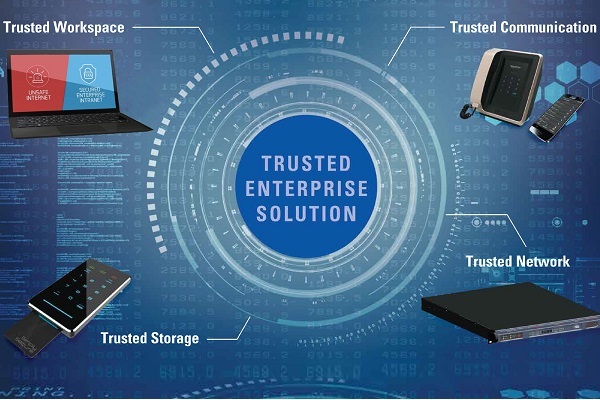 We have invested heavily in research and development, actively engaging leading research institutes, academic partners and industry leaders in capability development to create future ready cybersecurity solutions. Our cybersecurity training academy was setup in 2014 to build cybersecurity capabilities in the industry. 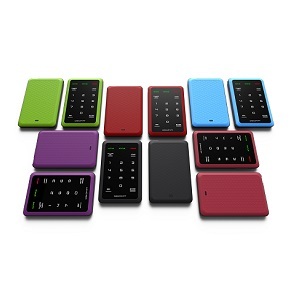 Discover the World’s First Ultra-Slim Encrypted Data Storage with Two-Factor Authentication smartcard protection. 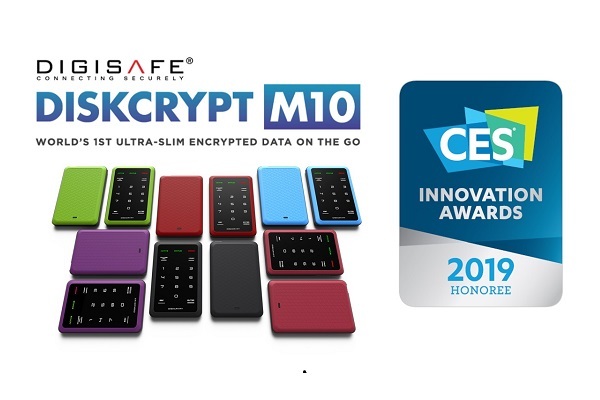 DiskCrypt M10 is designed with the highest security standards, DiskCrypt M10 enables organisations, government agencies and critical infrastructures to protect data with absolute confidence. Coupled with its ultra-slim profile and credit card size, DiskCrypt M10 offers unrivalled mobility and style to the modern workforce. 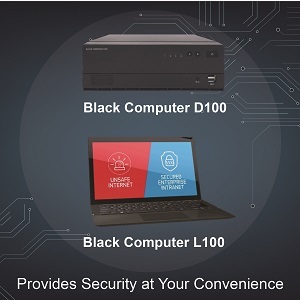 Black Computer Is a cutting edge technology with has a dual operating system and network that allows users to operate in both trusted secure (intranet) and untrusted unsafe (internet) environment securely without compromising productivity. It enables network separation and allow users to defeat ransomware with a simple command. 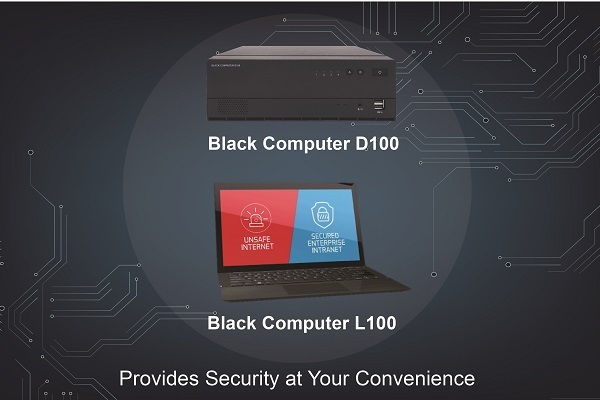 The Black Computer also has a backend system, that allow organisation to Protect, Detect, Respond and Recover from cyber threats effectively. Providing security at your convenience. 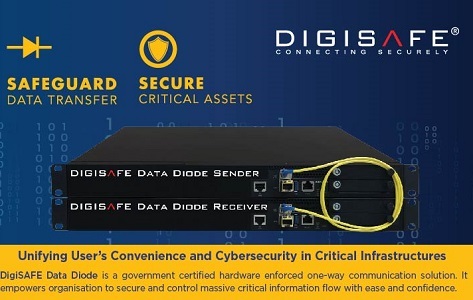 DigiSAFE Data Diode is a unidirectional communication and data transfer gateway that enables organisations to transfer data securely across physically separated networks. In Critical Information Infrastructure (CII), cyber security is often overlooked. At ST Electronics, we take a holistic and integrated approach towards Industrial Control Systems. Our indigenous solutions - Black Computer, Data Diode, Encryptors - can help filter out up to 90% of cyber threats. Our dynamic Cyber Security Command and Control Centre, transformation process and automation can block a further 9% of threats. Our experienced team can help neutralise the last 1% of threats. The Data Diode is the first made-in-Singapore data diode that is certified under the National IT Evaluation Scheme (NITES) to meet the stringent security standards of government agencies and financial institutions. The Data Diode supports multiple networking protocols and it is designed to provide a high assurance, robust, and high throughput one-way data transfer across physically separated networks.